A call point is needed for every individual call location on the system. 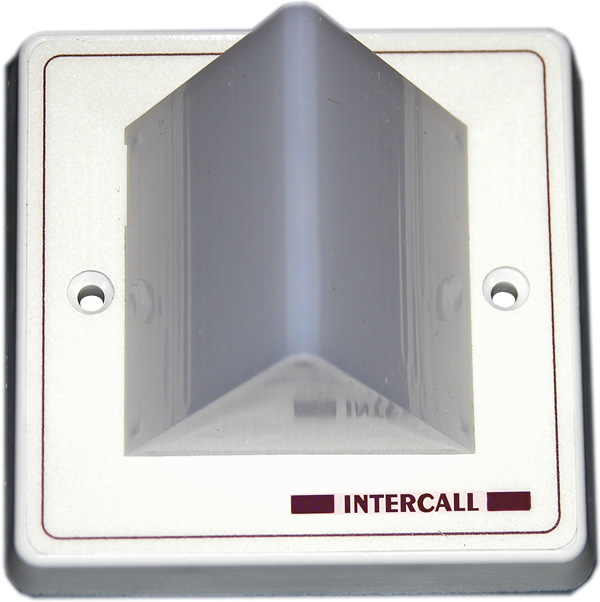 Every L622 unit features five levels of call, multi-colour re-assurance LED alerts and a 'call follower' sounder. The jack socket accepts inputs from a wide range of triggering devices such as pear leads, pressure mats and portable radio triggers. A magnetic reset option is also available (order code L622M) which only allows the reset function to be activated by the use of a magnetic key. For use as replacement for older 600 systems where 717 is not compatible. The main power and control unit for the Intercall 600 system. It connects to the mains supply and incorporates full battery back up to safeguard the system in the event of a mains supply failure. It also stores the text programming information and can be used to configure the system by simply connecting a laptop computer. An alternative power supply unit is required for larger installations and is designed to increase the permitted number of units and quantity of cable allowed on one system. 12V 2.1aH battery for L717, L617 and L737 power supply unit.